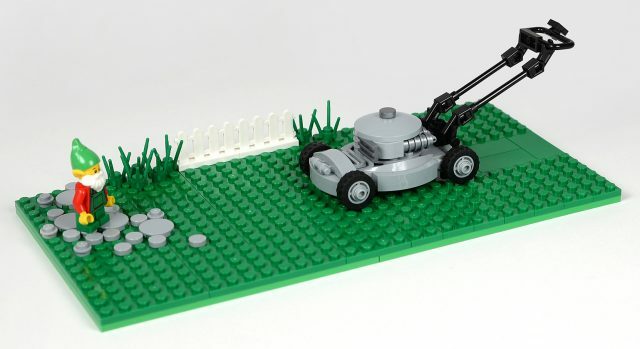 We have all been there: it’s summertime and the plate grass is getting long… well Anthony Séjourné has sorted out our lawnmower needs with his excellent LEGO mower. The garden gnome has sought a place of safety as this is a serious looking mower — look at the beautifully neat grass it is leaving in its wake! Using layered plates for the grass was an extra step well worth the effort to ensure the tiled cut grass is below the level of the top plate. 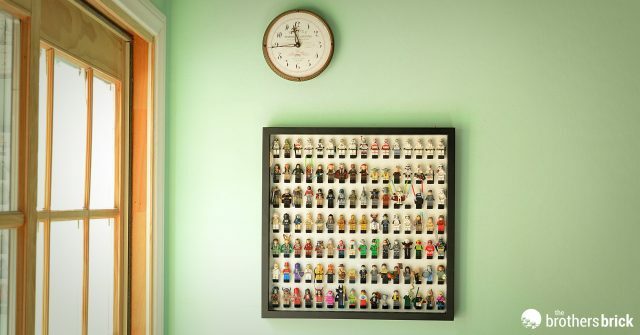 This is a cute little scene that really shows how to highlight this small mower model in the best light. 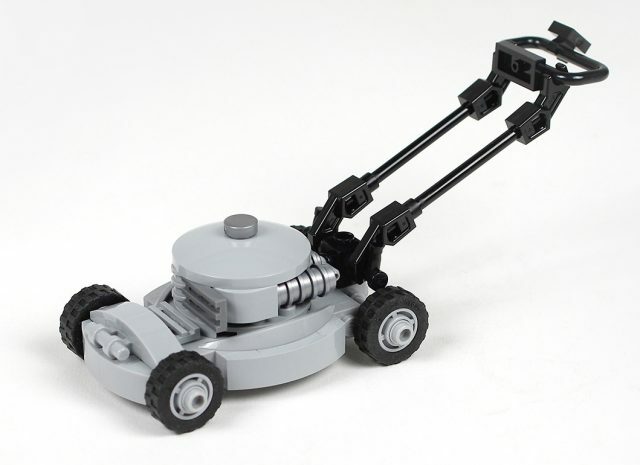 The lawnmower itself is a great little build with nice curvy shape and good use of the Bionicle mechanical arm to create the angles and attachment for the handle. My only issue is that I cannot work out where the cut grass has gone?